Insurance bad faith claims can be complicated in the state of Texas, as recently highlighted by a recent Texas Supreme Court decision. Yet the case also highlights some important “rules” pointed concerning the Texas Insurance Code, as we discuss in greater detail below. The case involved insurers and practitioners faced with statutory bad faith claims, and examining the alleged improper conduct with the alleged damages suffered to determine which “rule” applies, given the relevant fact pattern. Ultimately, the court held that where there has been no breach of an insurance policy, extra contractual causes of action are typically not going to be available. The Court helpfully articulated five separate rules clarifying the procedural steps each court should follow in determining which rule applies and what damages apply, if any. The case fact pattern is similar to many insurance bad faith claim cases: a property owner submits a claim to the insurance company for property damages due to hurricane; their insurance company concludes that property owner suffered damages, but that the damages were less than the deductible; and the property owner then files suit when insurance company does not make payment, arguing that insurance company breached its policy obligations by not paying the full extent of the loss, thus failing to conduct a reasonable investigation into that loss and ultimately violating the unfair settlement practice provisions of the Texas Insurance Code. The insured cannot recover any damages if they had n right to receive benefits under the policy and did not sustain any injury independent of a right to benefits. When insurance companies deny frivolous or illegitimate claims, it is often because they legitimately have a right to do so. 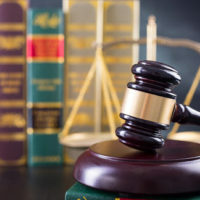 At the law firm of Colvin, Saenz, Rodriguez & Kennamer L.L.P., our insurance coverage attorneys represent insurance companies and others sued over insurance coverage disputes. Contact us today to find out more.